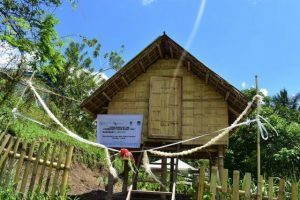 17 Community Seed Banks Turned Over in South Cotabato and Ifugao – Jaime V. Ongpin Foundation, Inc.
Culture, conservation and sustainability, these words summarize the end goal of the construction of the community seed banks (CSB) in the provinces of South Cotabato and Ifugao. 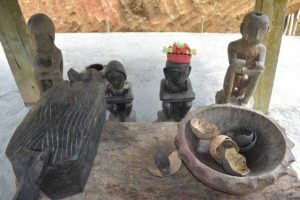 To press on towards this goal, the Food and Agriculture Organization of the United Nations (UN FAO) and the Jaime V. Ongpin Foundation, Inc. (JVOFI) partnered to construct 17 seed banks in these communities. 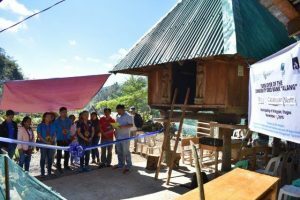 In October 2018 the CSBs in Lake Sebu, South Cotabato were completed and were finally turned over to barangays Lamcade, Klubi, Lamfugon, Luhib and Tasiman. The CSBs will serve as storage of seeds, gene bank and source of planting materials. In a few years we hope that a lot of lives have progressed through the help of the CSB, there are less poverty and malnutrition because there is food security in the community. 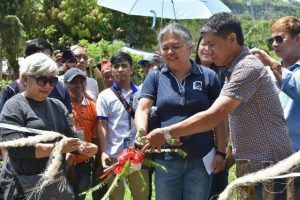 Last November 2018, another 12 community seed banks were turned over in the municipalities of Hingyon and Hungduan, Ifugao. This project is under the GCP/PHI/062/GFF Project “Dynamic Conservation and Sustainable Use of Agro-Biodiversity in Traditional Agro-Ecosystems in the Philippines”.